Event Description: Now called the Chhatrapati Shivaji Maharaj Vastu Sangrahalaya, the Prince of Wales Museum of Western India, is one of the premier art and history museum in India. 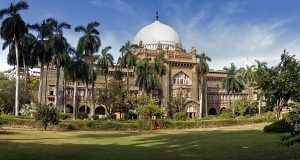 Situated on the southern tip of Mumbai on the ‘Crescent Site’, the Museum building is a fine example of the Indo-Saracenic style of architecture. Climate controlled with minimal walking, the museum is a great place to beat the heat while exploring the many fascinating galleries, featuring stone sculptures, miniature painting, Himalayan artifacts, Asian porcelains and so much more. Constructed starting from 1904 to commemorate the visit of the Prince of Wales, the future King George V, the museum was said to embody ” the pomp and height at which the British Raj was moving ahead with their ambitious plans, in building the great metropolis Bombay”. Completed in 1915, it was used as a Children’s Welfare Centre and a Military Hospital during the First World War, before being handed inaugurated as a museum in 1922. In 1998 the Museum was renamed Chhatrapati Shivaji Maharaj Vastu Sangrahalaya after the warrior king and founder of the Maratha Empire. During your corporate teambuilding treasure hunt…expect to see a bandaged thumb (although not literally), a prayer by a president, a metal peacock and a preening parrot, a trumpet made from human bone,and lots more.